This morning I attended another KU Design Week event, a paper engineering workshop led by Matthew Hawkins. 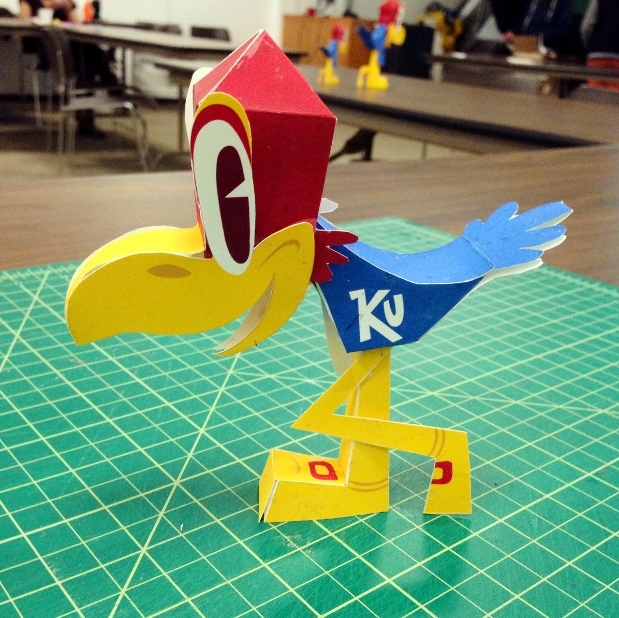 After hearing his journey to becoming a freelance paper engineer, we each created a Jayhawk with a template Matthew provided. The end result was rather adorable, and I have a new appreciation for what goes into creating paper structures. It is always inspiring to hear how creative individuals find success doing what they love.